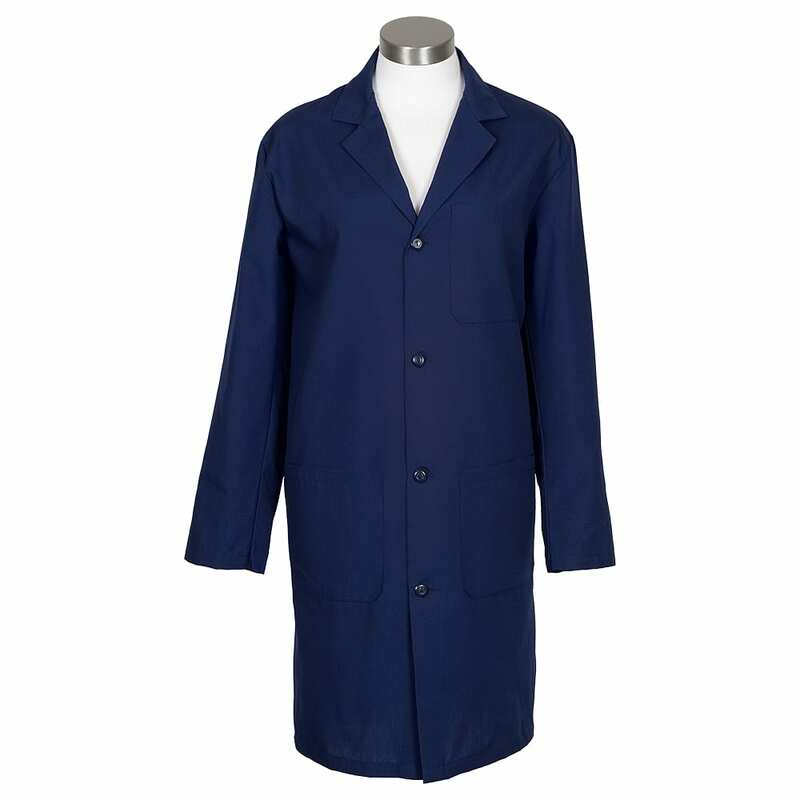 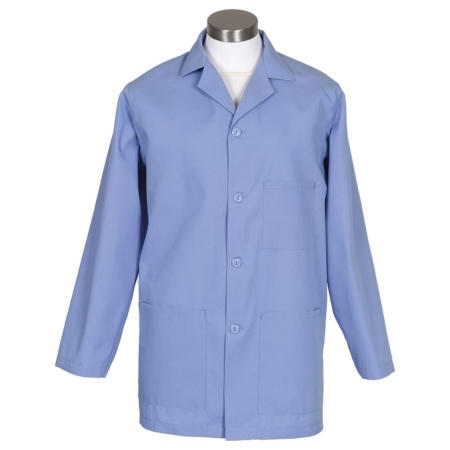 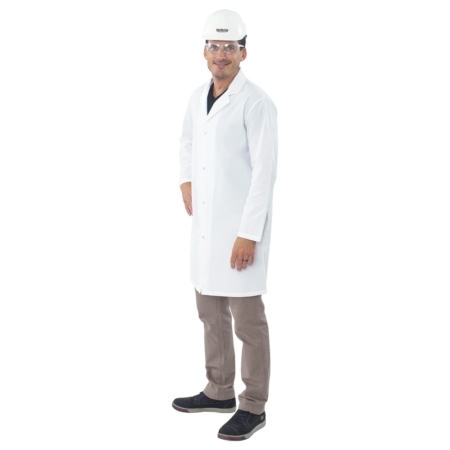 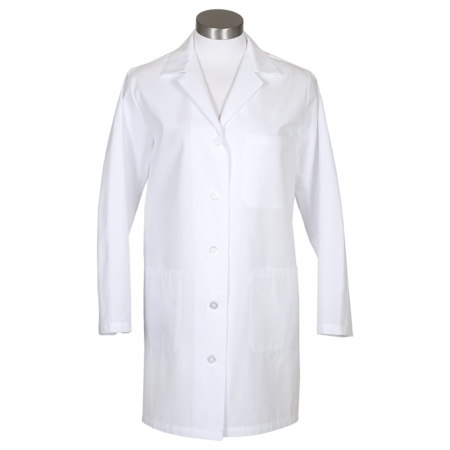 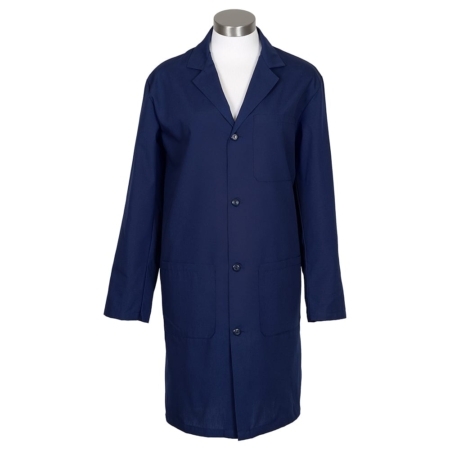 LENGTH* 35" 37" 39" 41" 43" 45" 47" 49"
This White Lab Coat Fabric is a Lightweight 4.5 oz. 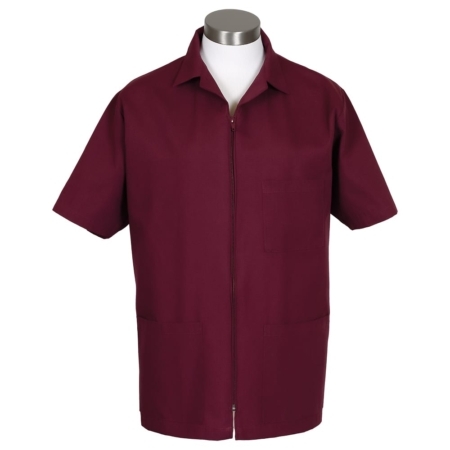 65/35 poly-cotton poplin. 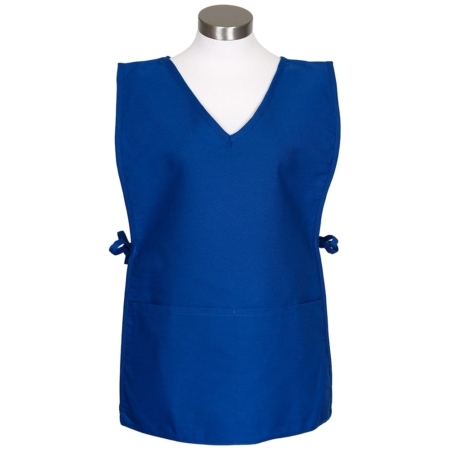 It comes with 3 pockets- Left chest pocket and two lower pockets. Side slits for easy pocket access. 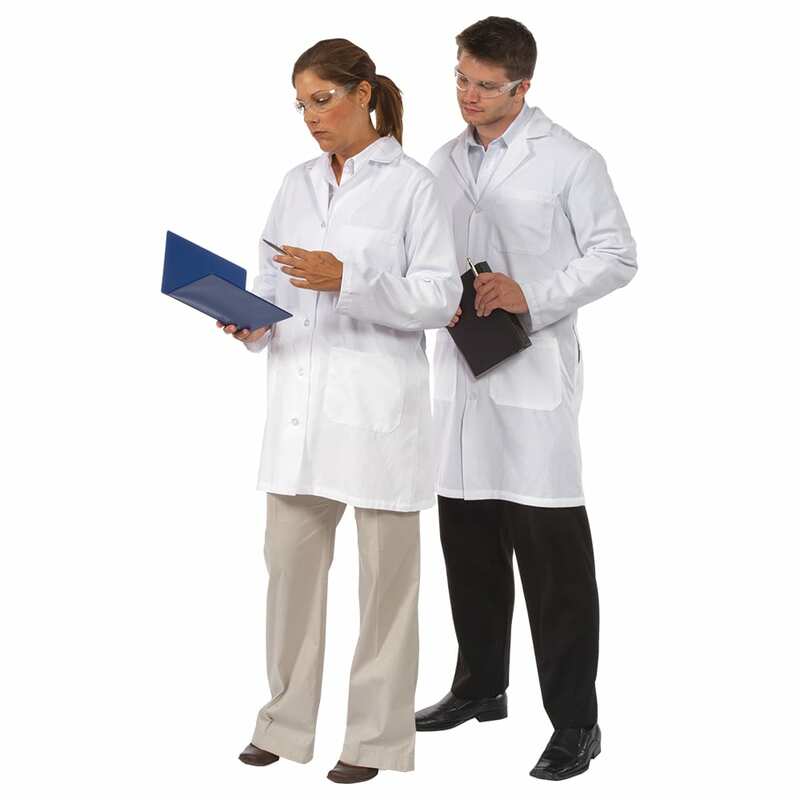 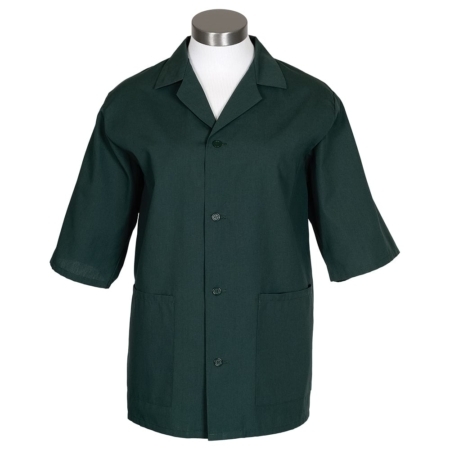 The lab coat has a 4 button front and Stitched down back belt. 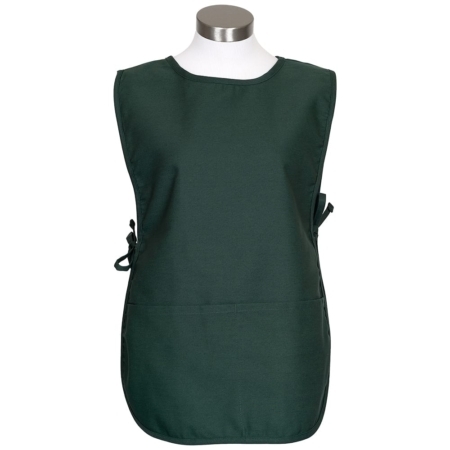 It comes in sizes XS thru 4X.